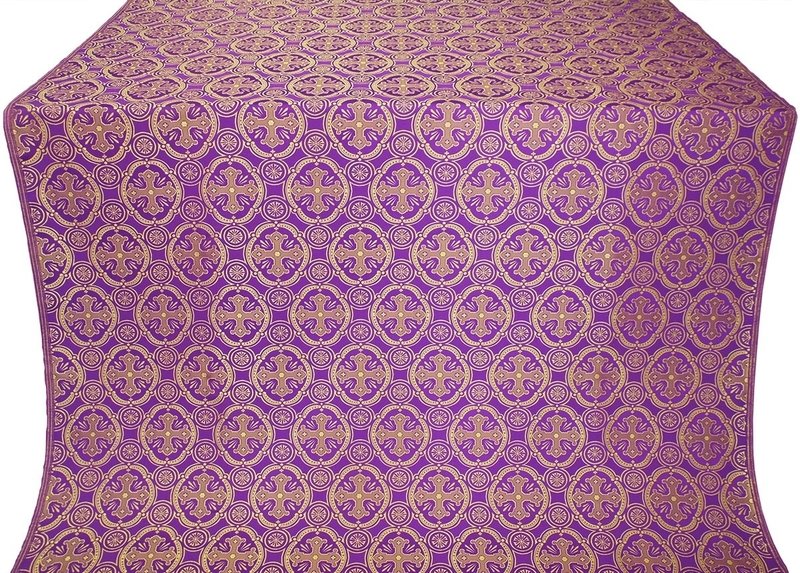 Istok Church Supplies offers hundreds of best quality rayon brocades violet-gold for creating liturgical vestments. 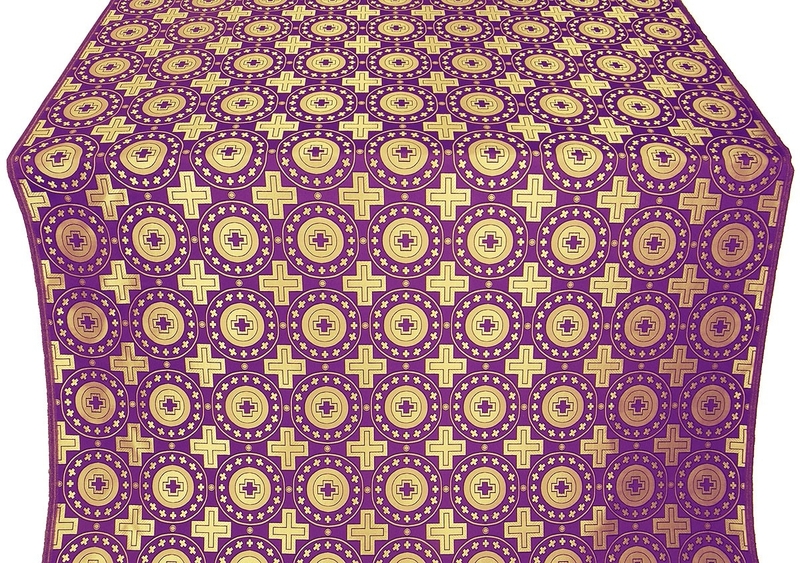 Whether your aim is to create a spiritual ambience in your church or highlight a particular sacred occasion, our beautiful rayon brocades in violet and gold hues will drive your message home. The word brocade has origins in the Italian word “Brocatto” and is considered to be a luxurious fabric all around the world. 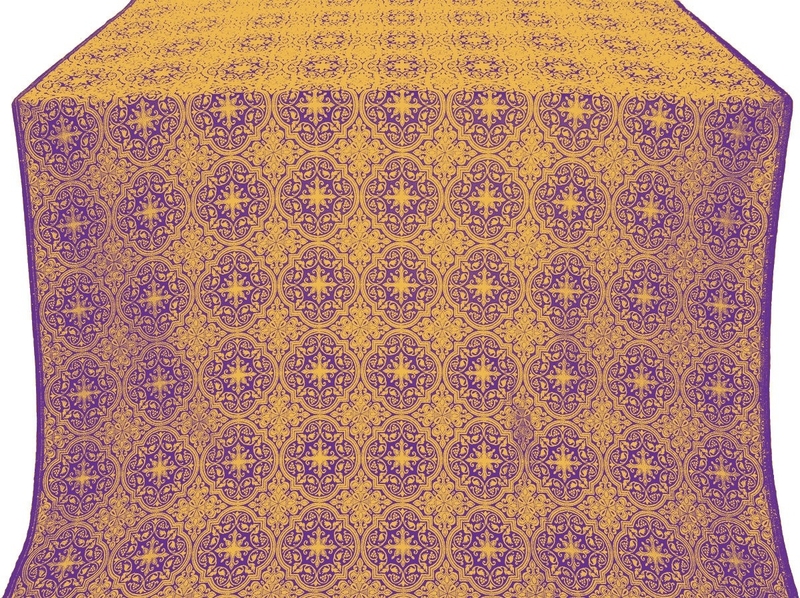 Violet is a color that’s associated with royalty and luxury. 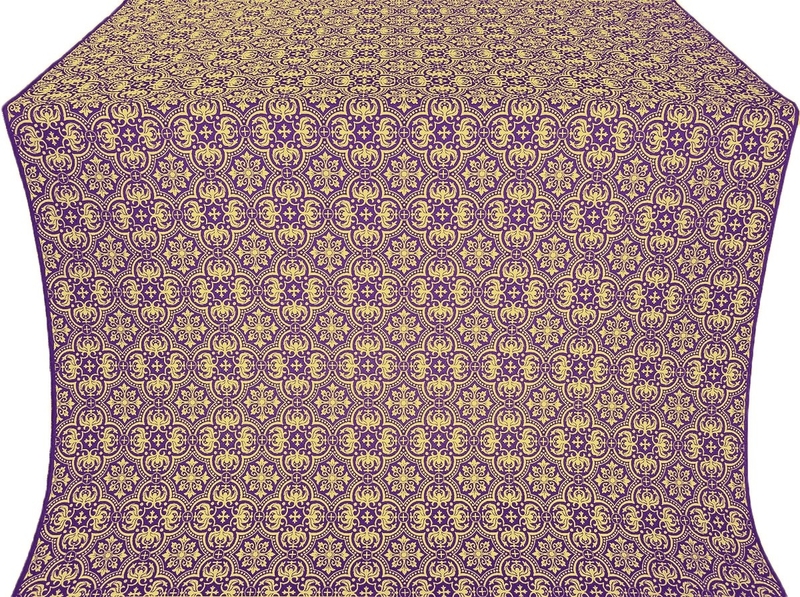 When violet, gold and brocade combine, the result is a fabric that looks magnificent and feels soft and comfortable as silk. 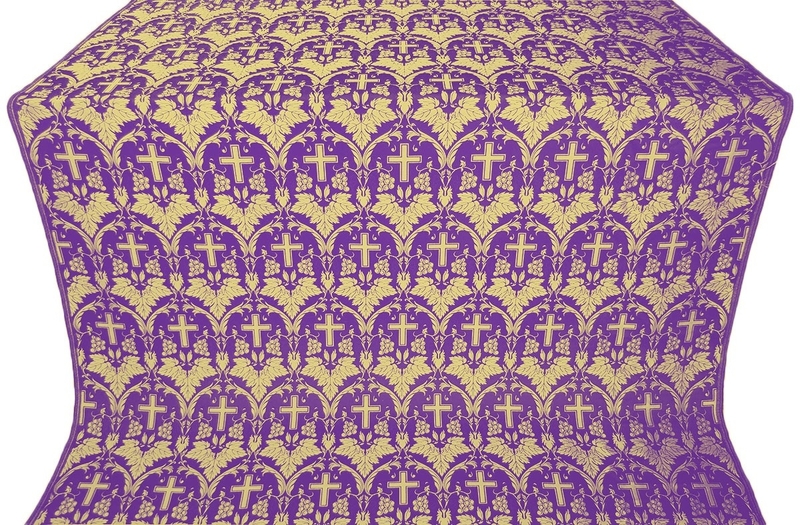 Violet is similar to purple, a liturgical color that is popularly used during Lenten periods and. 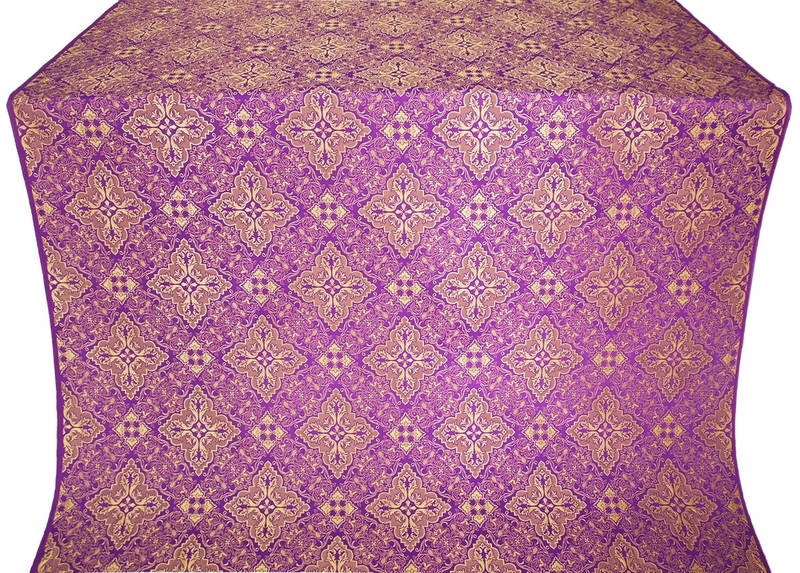 We are confident that the majestic texture of our rayon brocades violet-gold will conquer your heart and enhance your prestige within your community. Rayon brocades are extremely versatile – not only do they look splendid but they also have an amazing soft feel and are very comfortable to wear. 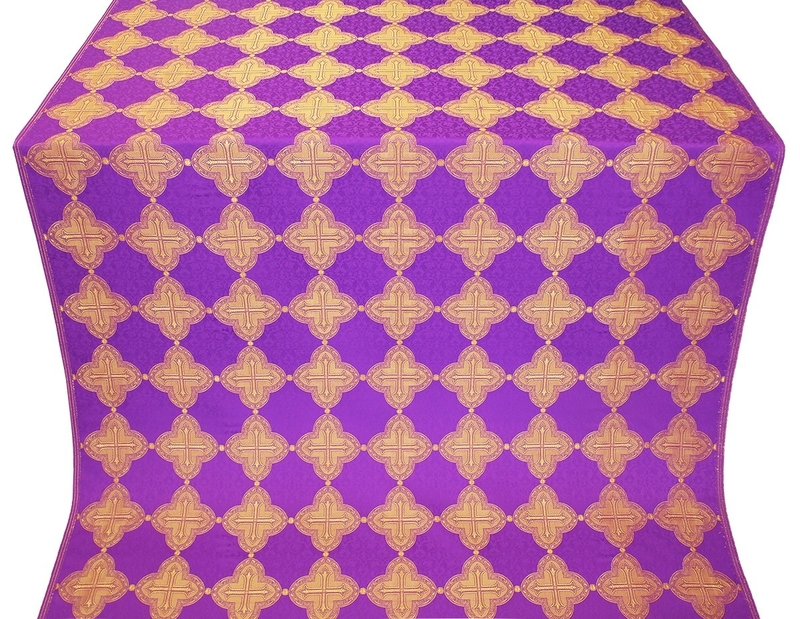 This makes them an ideal choice for creating liturgical vestments. 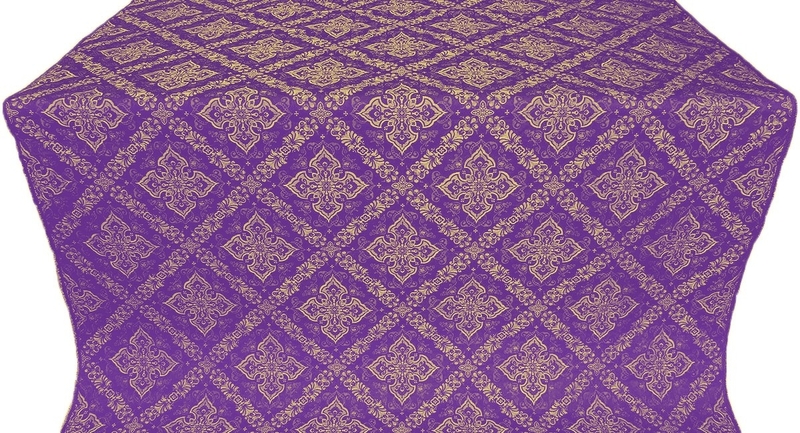 Our rayon brocades violet-gold can be used to make a wide variety of liturgical vestments including vestments in Orthodox Greek and Orthodox Russian styles. 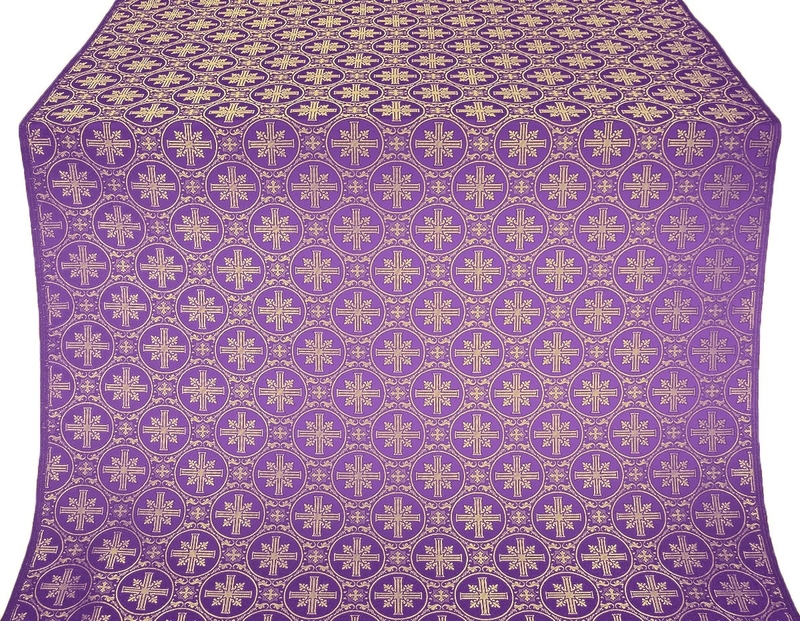 They are most suitable for making all types of clergy vestments including Bishop vestments, Deacon vestments, Sub-deacon vestments and altar server vestments. 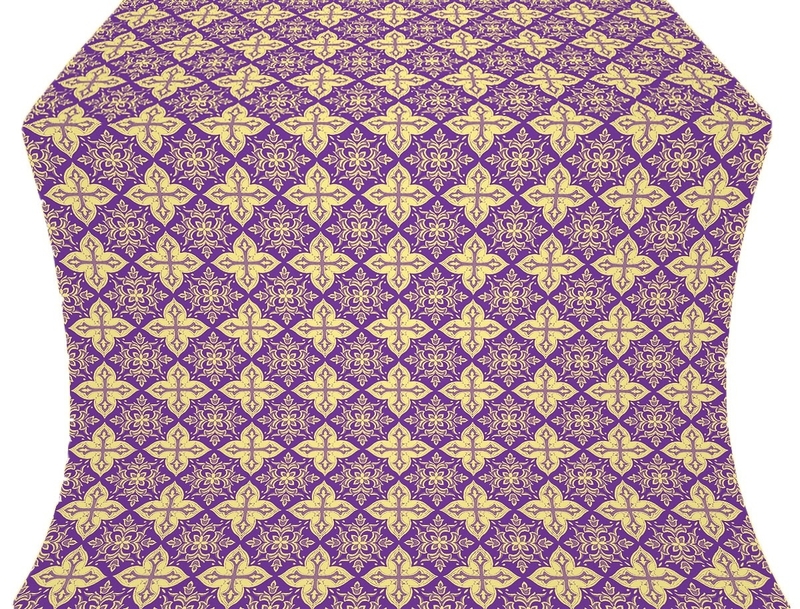 Each of our rayon brocades violet-gold comes with a distinct Christian themed pattern. 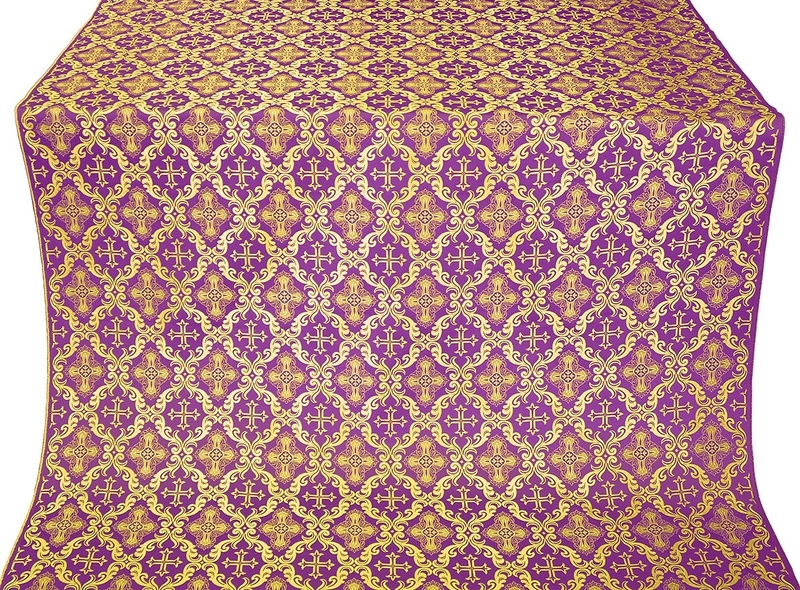 Patterns range from simple to ornate and customers can purchase according to their church requirements, budget and aesthetic preferences. We sell rayon brocades by the meter and mention the dimensions as well as fabric class to help customers make well informed decisions. 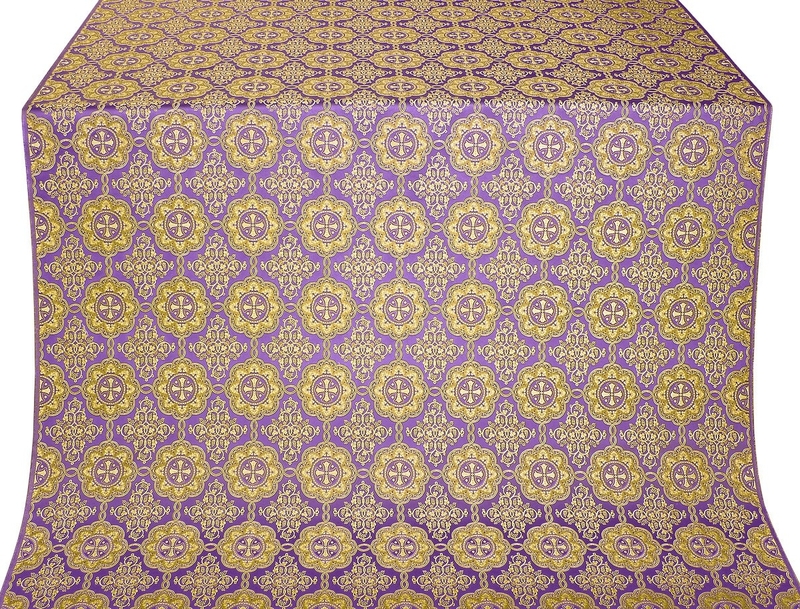 With discounted prices and no additional taxes, our high quality rayon brocades are some of the most affordable varieties available in the world today. We invite you to browse through our collection we are so proud of!